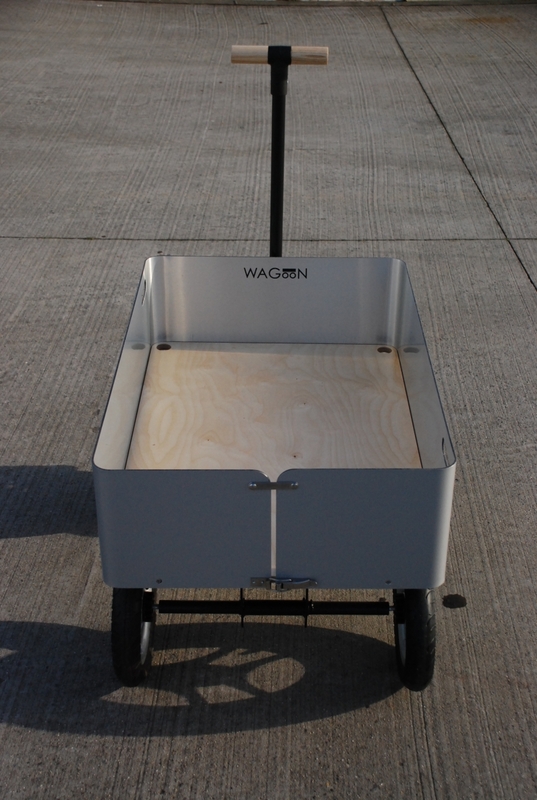 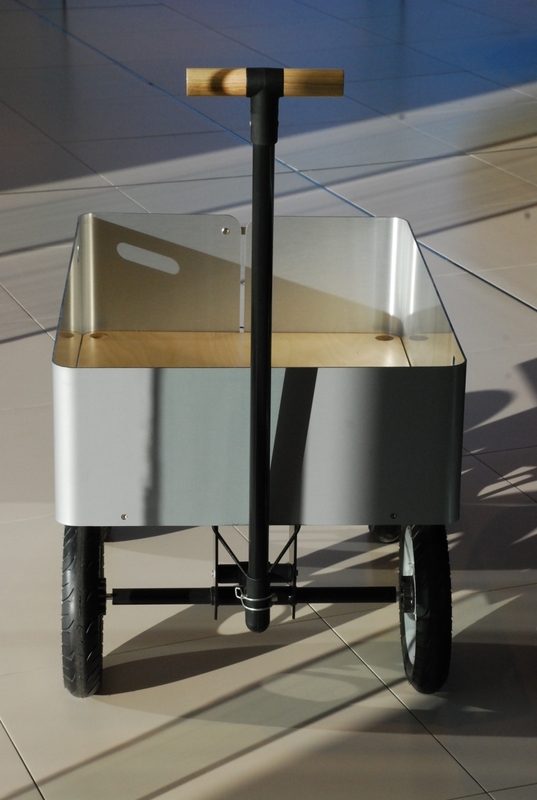 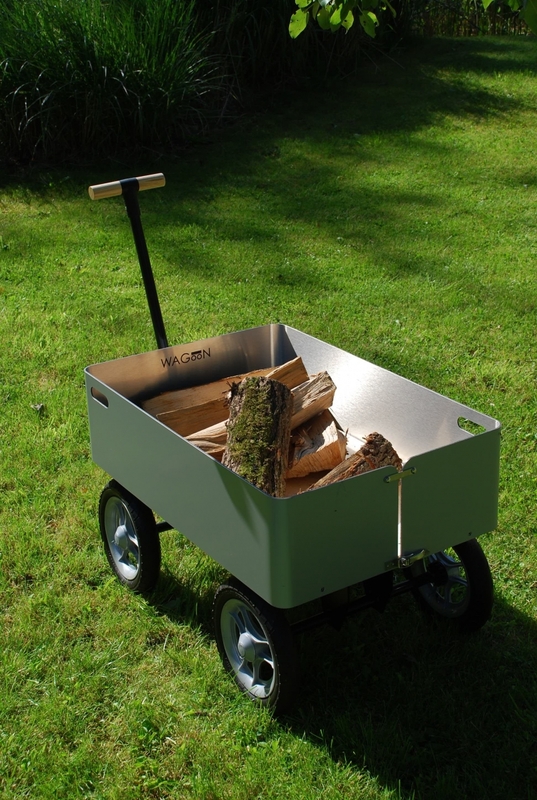 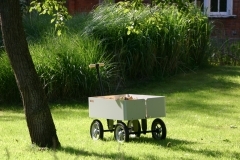 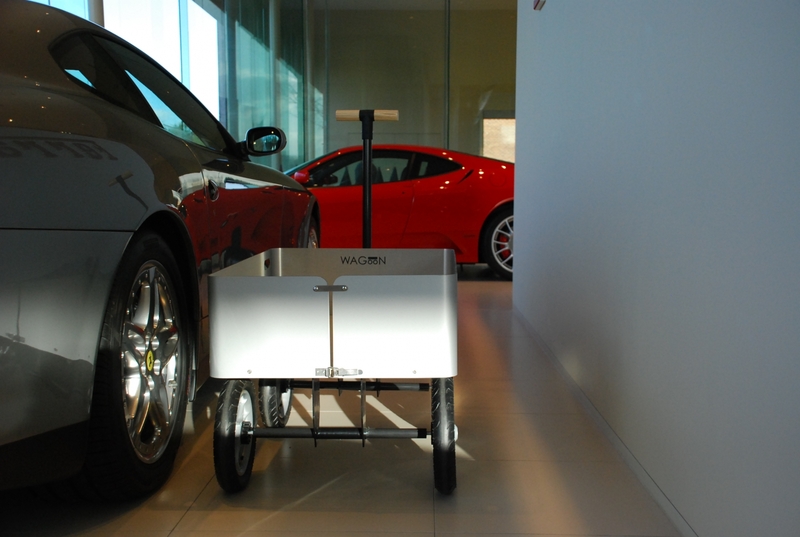 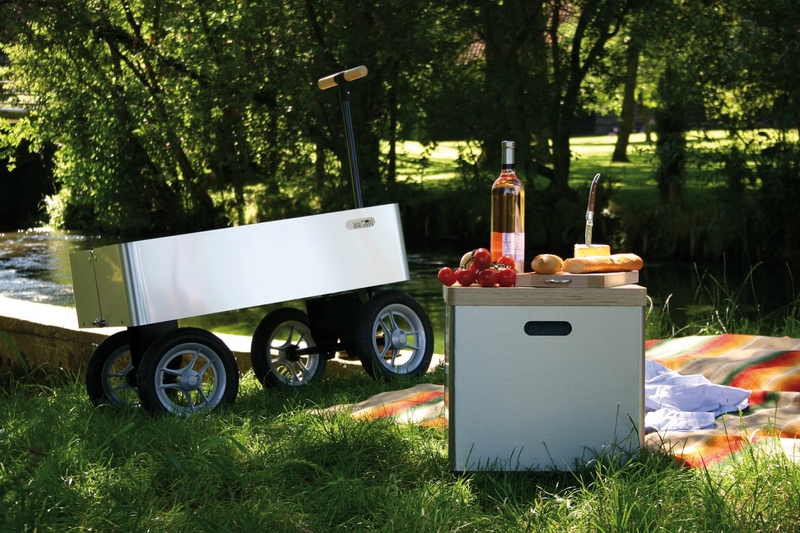 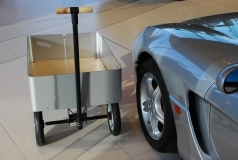 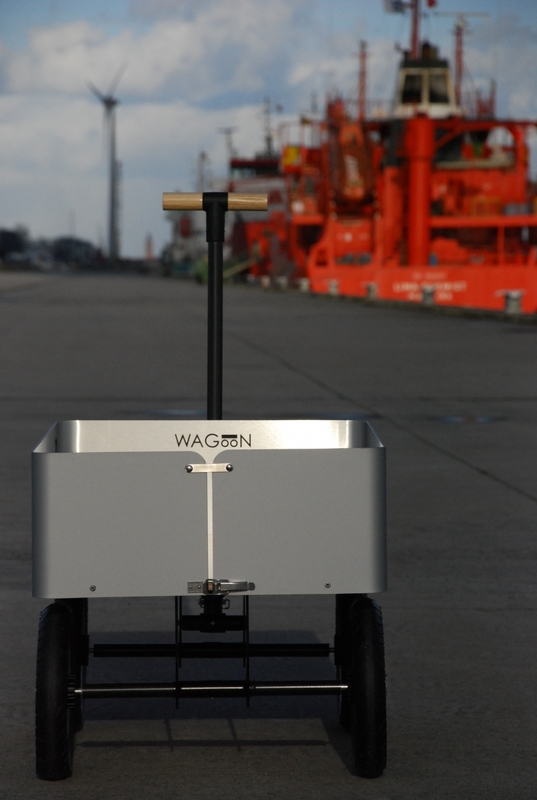 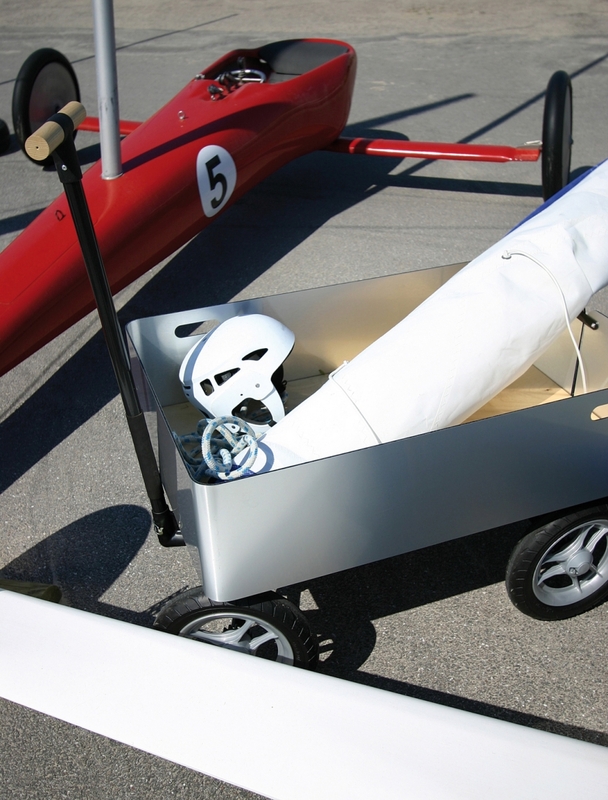 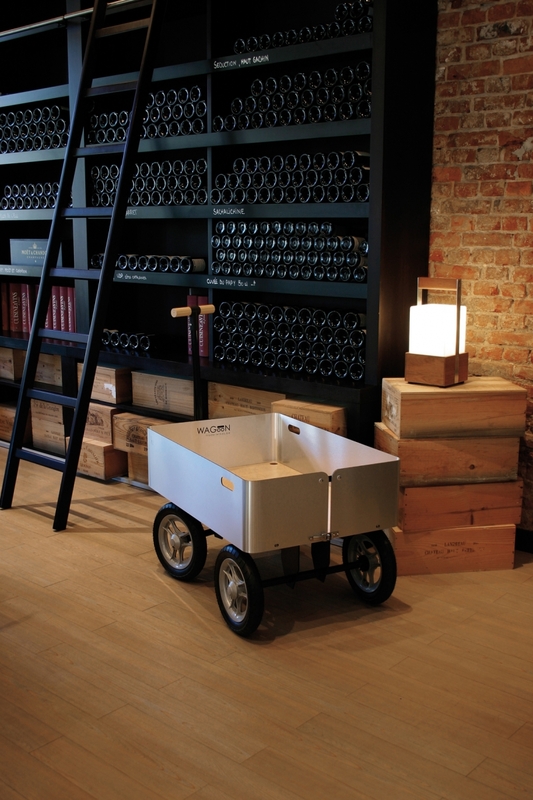 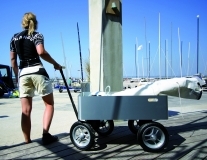 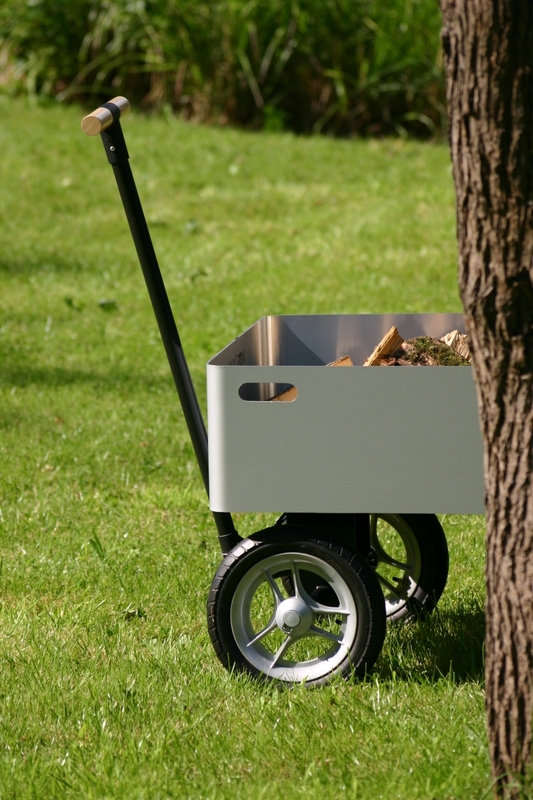 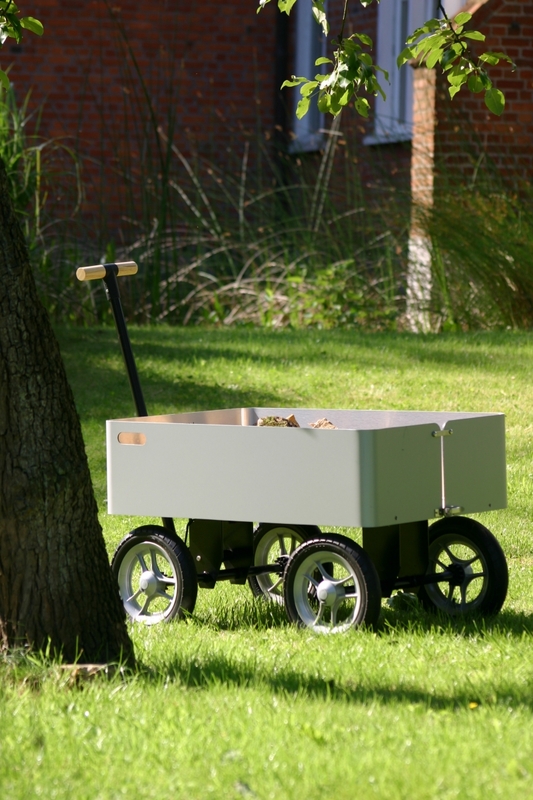 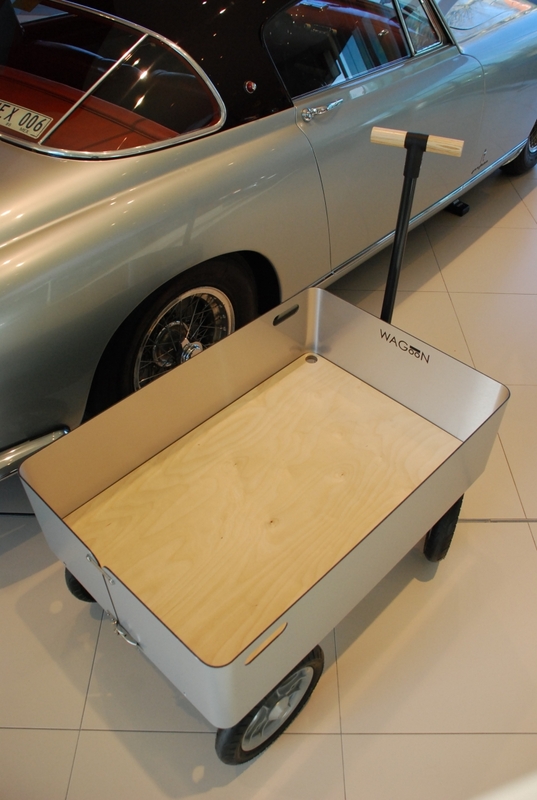 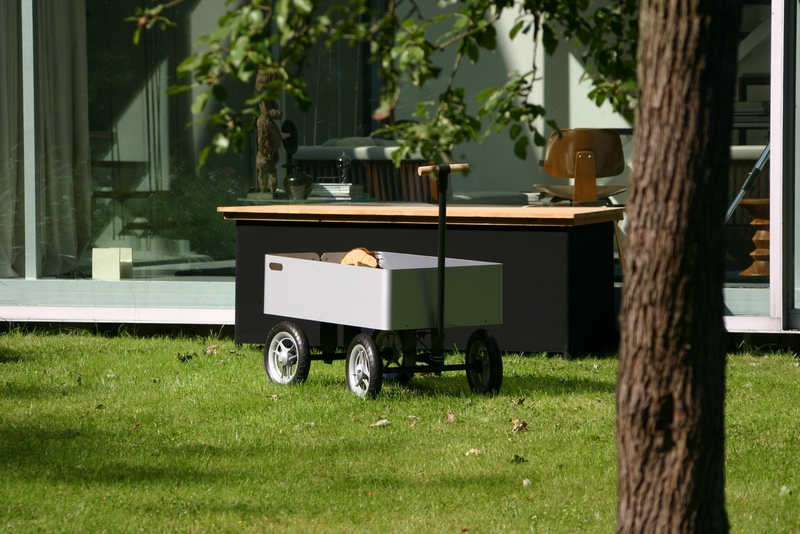 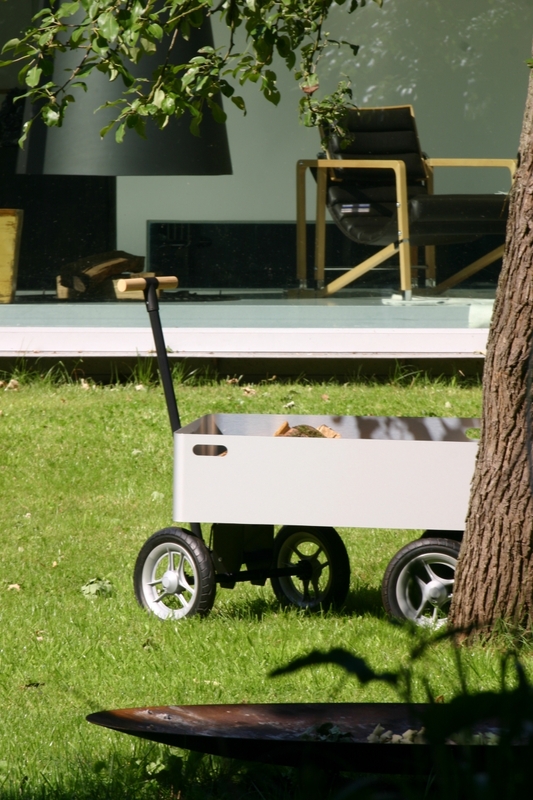 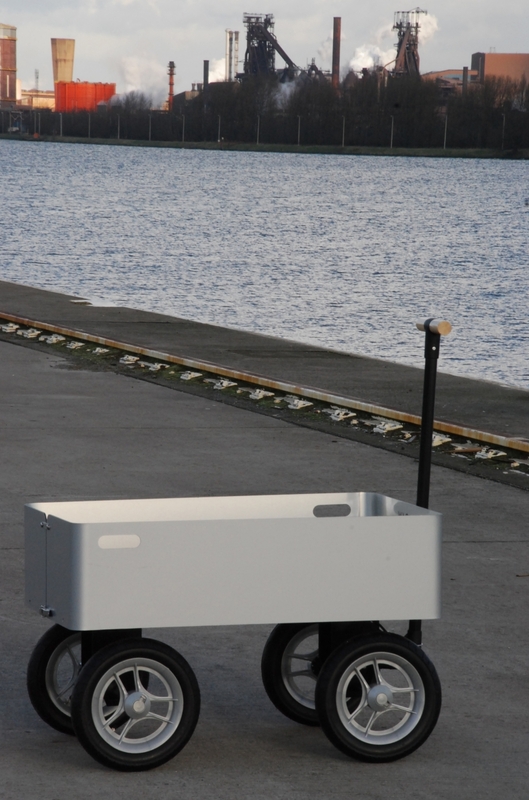 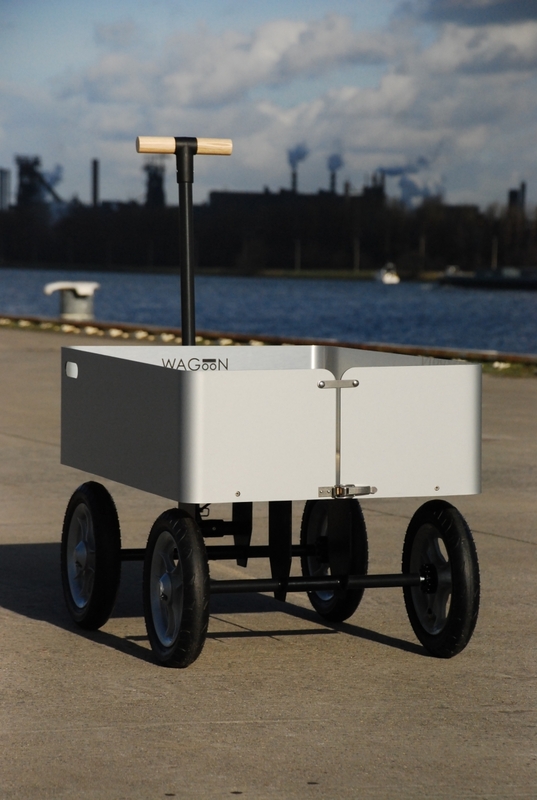 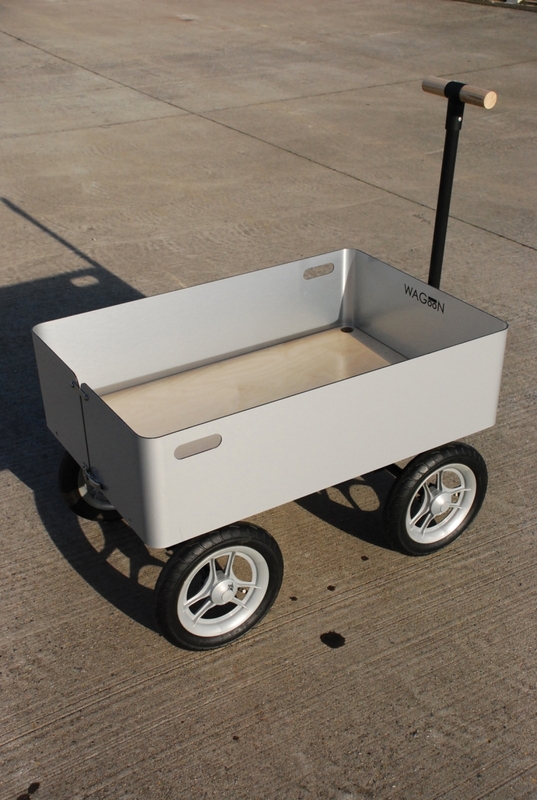 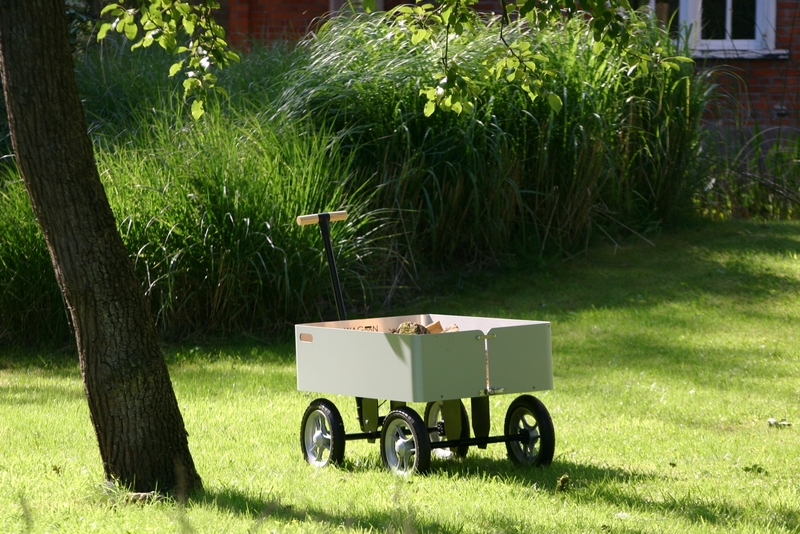 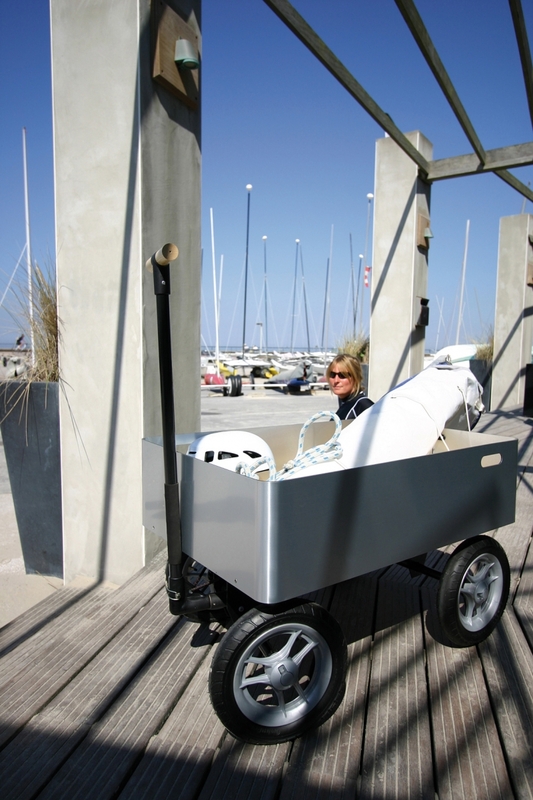 But Wagoon is in fact a very practical, multipurpose outdoor cart, rolling on sturdy 12-inch wheels. 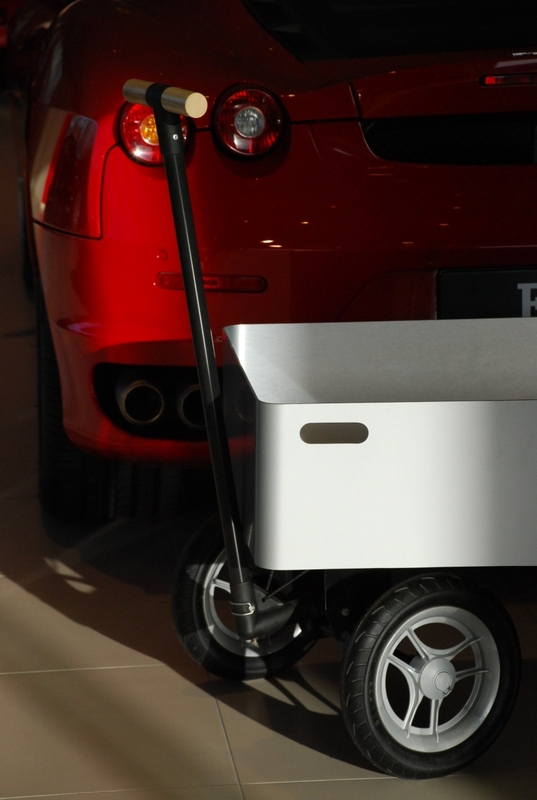 This trolley is very light but strong enough to carry weights of 100kg. 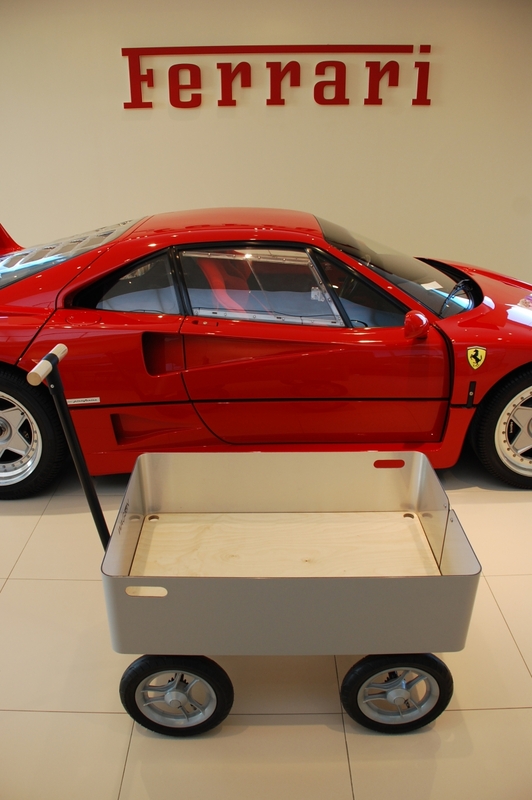 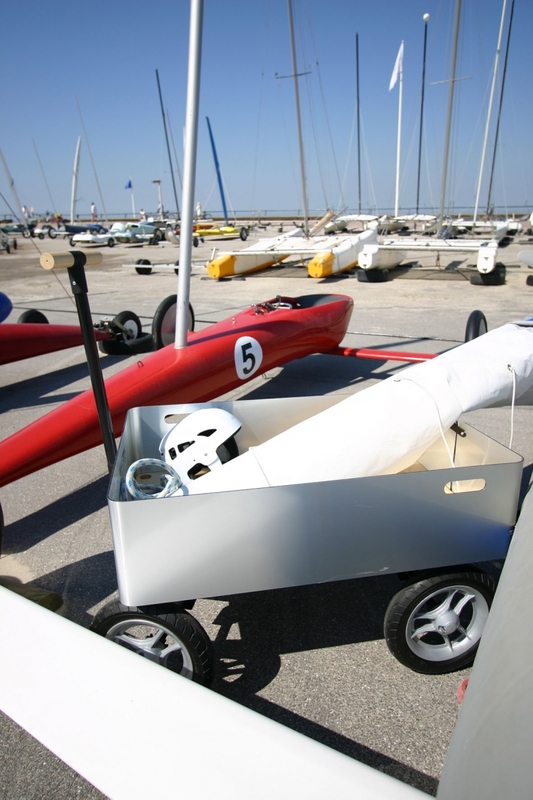 The sides are made from a light composite material with aluminium, the base is marine plywood and all the axels are fibreglass. 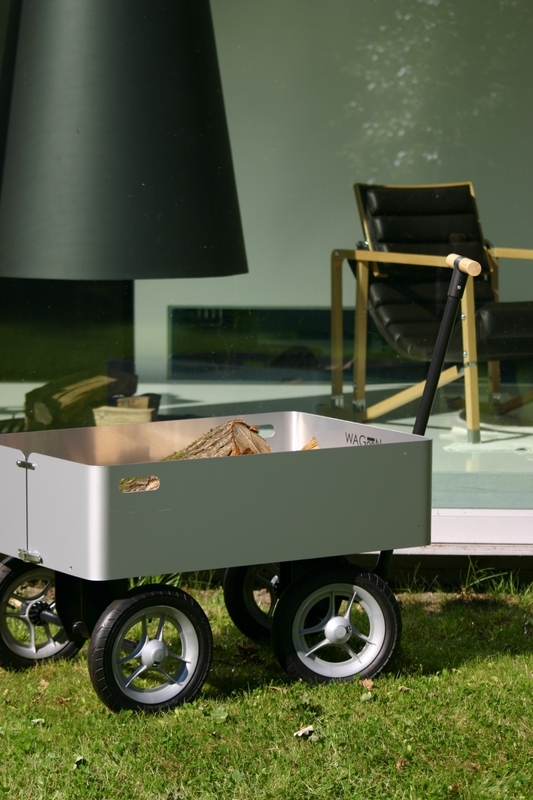 100% weatherproof materials. 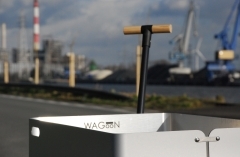 Wagoon can transport your goods with ease, making every trip a pleasurable experience. 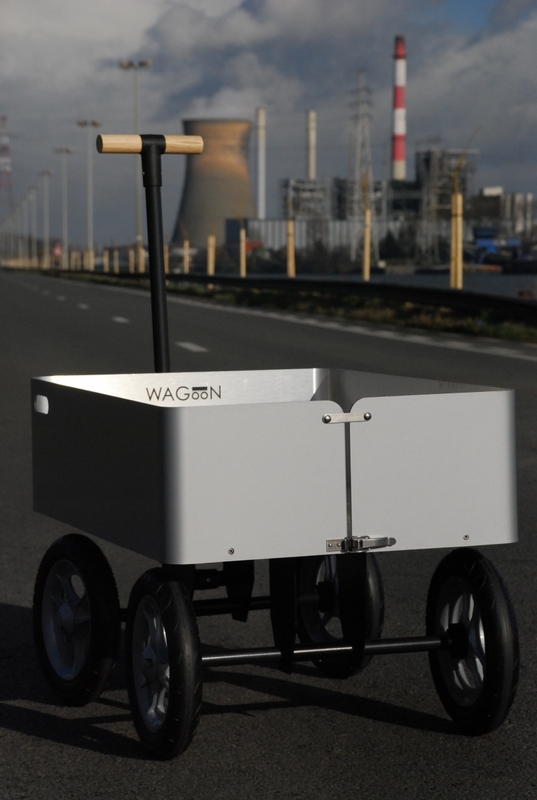 Its combination of style and functionality also earns the Wagoon a place in a design-focused, hi-tech interior. 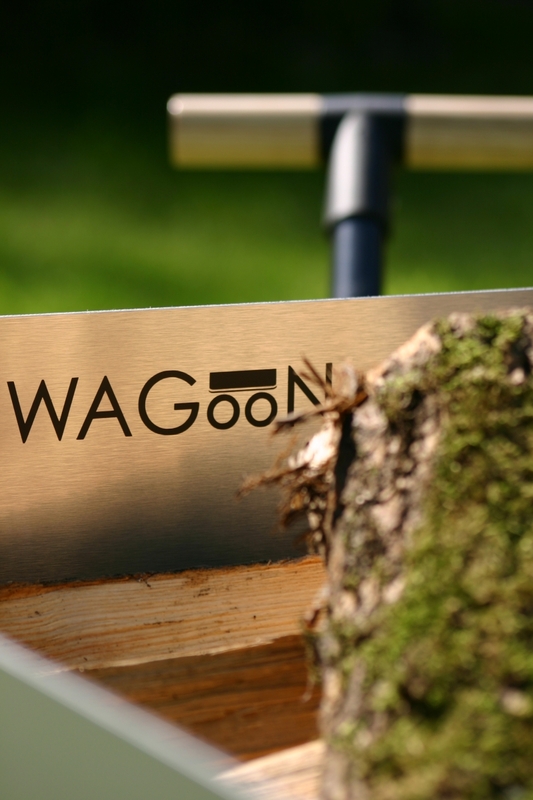 The sides of the Wagoon can be printed with your personal logo.